From the first indigenous inhabitants to miners, bushrangers and present day locals, the mountains, rivers and lakes of the High Country have shaped Mansfield Mt Buller’s history and people. Our long and fascinating history begins with the Taungurung people, who are connected with this country and have lived here for more than 2000 generations. 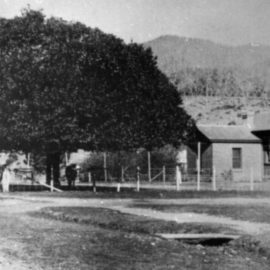 Before European settlers came to the High Country, it is estimated that the valley was home to about 400 people, including the Yowong-Illam-Balluk, who called the Mansfield-Mt Buller region home and had an intimate knowledge of their environment. The myrniong was a staple food, and other plants such as bracken fern, tree fern, kangaroo apple and cherry ballart were also valuable food sources. Stringybark was used to construct shelters and weave baskets. Fibrous plants, such as tussock grass produced twine for nets while other tree species were utilised to fashion shields, clubs, boomerangs, water carriers and canoes. The rich resources of the rivers, creeks, tributaries and floodplains provided the Taungurung with an abundance of fish and other wildlife including birds, kangaroo, koala and emu. The pelts from the native possum were sewn together to form cloaks ideal for the often cold and wet conditions. And plants such as kurrajong provided fibres to weave nets for harvesting the nutritious Bogong moth. Beolite was the Chief of the whole of the Upper Goulburn tribes and reputed to be a great warrior, the land around was also called Beolite. His eldest son was named Barwite and his lubra was Delatite. 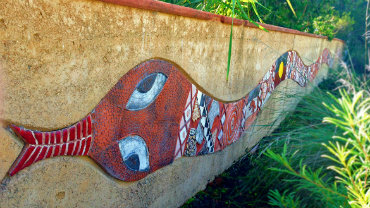 The Taungurung read the changing seasons in the passage of stars and the life cycles of plants and animals around them. In addition to the seven annual seasons, there is Flood season-which takes place roughly every 28 years – and Fire season which comes about every seven years. 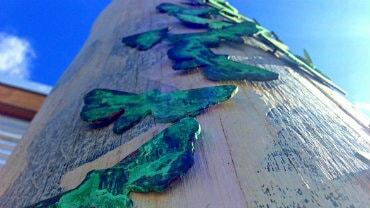 Explore local Taungurung culture with a visit to the Scar Tree and uncover the story of the shields at the Mansfield Visitor Information Centre. The history of the mountain cattleman is also central to Mansfield's identity. Generations of local farming families drove cattle into the Australian Alps for the summer months. Some of the cattleman’s huts remain today and can be used by hikers, horseriders and mountain-bikers. Timber milling was another key part of the region’s economic development, but tourism has gradually grown to become the key source of business in the area. Discover relics from the old Carter & Co. timber mill as you wander along the Plain Creek Loop and Tramway Bridge walk. European settler history dates back to the 1830s when squatters arrived in search of good grazing land, but the Mansfield township itself was not established until 1851. Wappan Run, which originally stretched from Bonnie Doon to Merrijig was broken up into four properties. These holdings, Wappan, Preston, Mt Battery and Loyola/Delatite, converged at the roundabout in Mansfield’s centre, a landmark that still stands today. Pay a visit to the Mansfield Historical Society and view their fascinating collection of photographs, newspaper clippings and memorabilia or chat to one of our local historians. Drop into the Mansfield Visitor Information Centre and marvel at the 14 metre Felt Mural, designed to celebrate the history of women in the region. Wappan Run, the orginal holding, stretched from Bonnie Doon to Merrijig and was eventually broken up into four properties. These holdings, Wappan, Preston, Mt Battery and Loyola/Delatite, converged at the roundabout in Mansfield’s centre, a landmark that still stands today. In the 1860s thousands flocked to the Jamieson – Woods Point region in the hunt for gold. In Woods Point alone there were 36 pubs! Jamieson became a supply base for the mines, a thriving town with stores, banks, hotels and churches. By 1900 the gold rush had waned and in 1939 bushfires all but destroyed the towns. Traces of the mining days can still be found throughout the region – and the tenacity of the miners is a streak that’s still evident in the people who call the remote villages of Woods Point and Gaffneys Creek home. As the economy boomed, the scene was set for the rise of the bushranger. Daniel “Mad Dog” Morgan operated in the Merton district and Strathbogie Ranges, as did Harry Power. 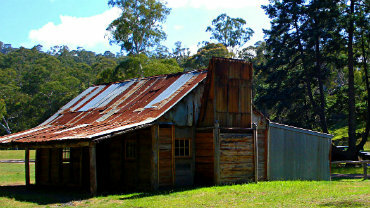 Mansfield and surrounds feature strongly in the escapades of Australia’s most infamous bushranger, Ned Kelly. Power’s Lookout, with its stunning views was one of the hideouts used by Kelly and his mentor, Harry Power. The Kelly Tree at Stringybark Creek near Tolmie is the site of the gun battle between police and the Kelly Gang. The graves of the three policeman, Sargent Michael Kennedy and Mounted Constables Scanlon and Lonigan can be visited at the Mansfield cemetery. A monument to their memory still stands at the roundabout in Mansfield. To find out more about the many museums, monuments, lock-ups and look outs of the Kelly days, follow the Kelly Trail. In 1929 the first chalet was built on Mt Buller and 20 years later the mountain resort we know today had begun to emerge. To this day the mountains remain a central part of the area’s lifestyle and culture. The National Alpine Museum at Mt Buller with its collection of ski memorabilia, artefacts and photos is a great way to discover the history and evolution of Australia's ski fields.